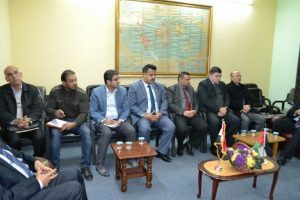 Director of the center for international studies at University of Baghdad, Assistant Prof. Dr. Ibtisam Mohammed Al-Ameri received the Palestinian ambassador and his entourage including a committee of Palestinians and Iraqis academic and political personalities. 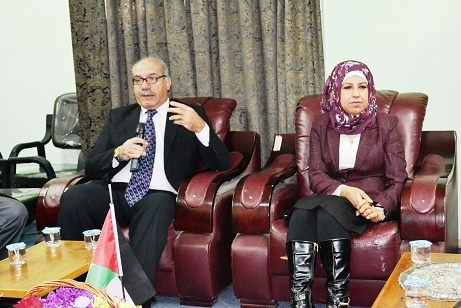 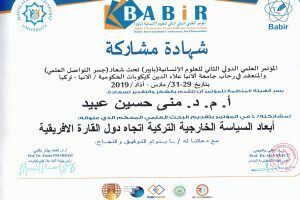 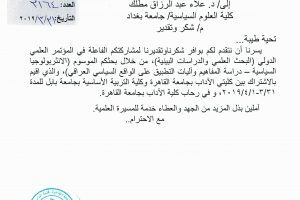 The two sides discussed matters related to ways of cooperation between Iraqi and Palestinian universities and prospects for organizing workshops and holding seminars every six months to address important issues between the two brotherly countries in Palestinian-Iraqi research centers. 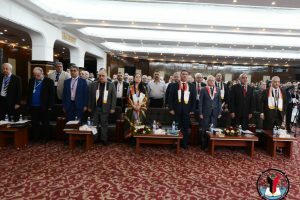 Omran Al-Khatib, chairman of the Palestinian-Iraqi Brothers Committee in the Palestinian National Council Stated during his speech that the researchers in Palestine betting on the fact that Iraq and Iraqi universities are the key to build the Arab human being, so they call for working on more research on urgent issues for the two countries.